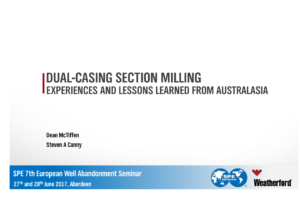 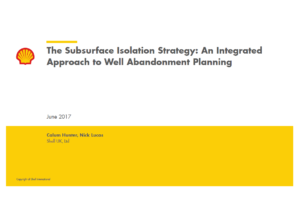 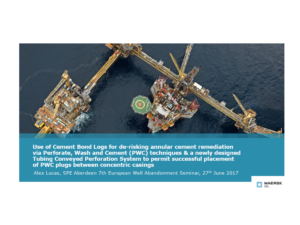 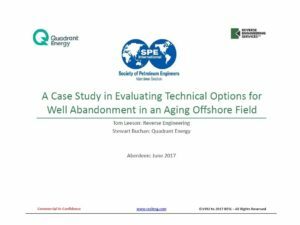 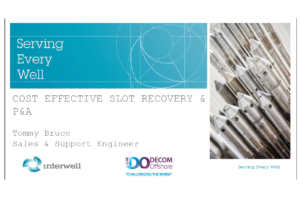 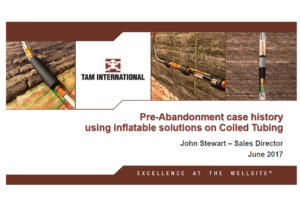 SPE Aberdeen 7th European Well Abandonment Seminar featuring Rig Reactivation and Alternatives – Gather Data Plan Better. 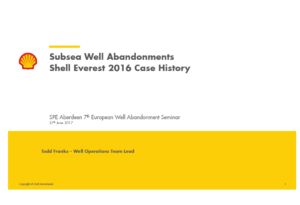 The conference programme is available by clicking here. 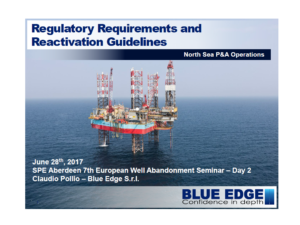 With the new norm of $50-$60 oil, many mature or marginal fields are verging on being uneconomic. 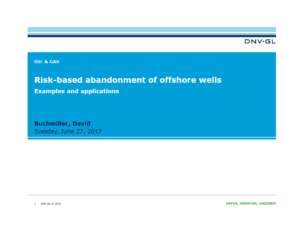 With the treasury underwriting up to 75% of operator well abandonment costs in some blocks, we are all stakeholders in the abandonment of North Sea Fields. 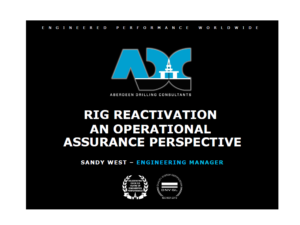 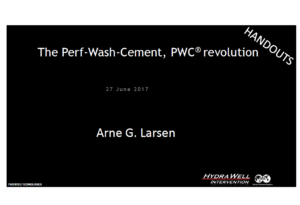 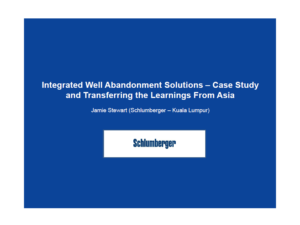 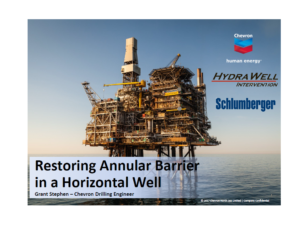 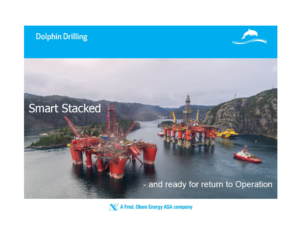 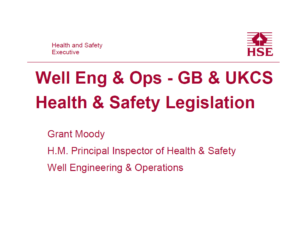 With rig reactivation and alternative solution experiences, there has been a history of cost and time overruns and many of the lessons learnt, have not been shared throughout the industry. 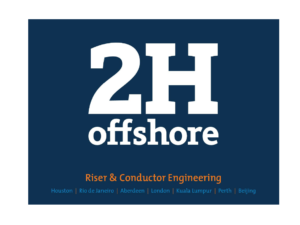 Abrado, Archer, BisN Oiltools, Baker Hughes, Churchill Drilling, EXPRO, Helix Oilfield Services, ITC Hydraulics, Mesh Global, TAM International, Visuray and WellGear. 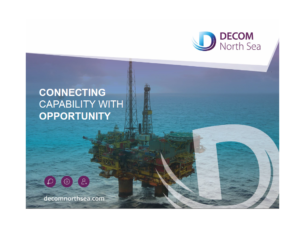 Thanks to our Platinum Sponsor WESTERTON (UK) Ltd, our event sponsors Wild Well and Schlumberger, ITC Hydraulics for sponsoring the car parking on both days; Baker Hughes for sponsoring the stationary; Coretrax for sponsoring the lanyards and Chevron for sponsoring the networking reception.